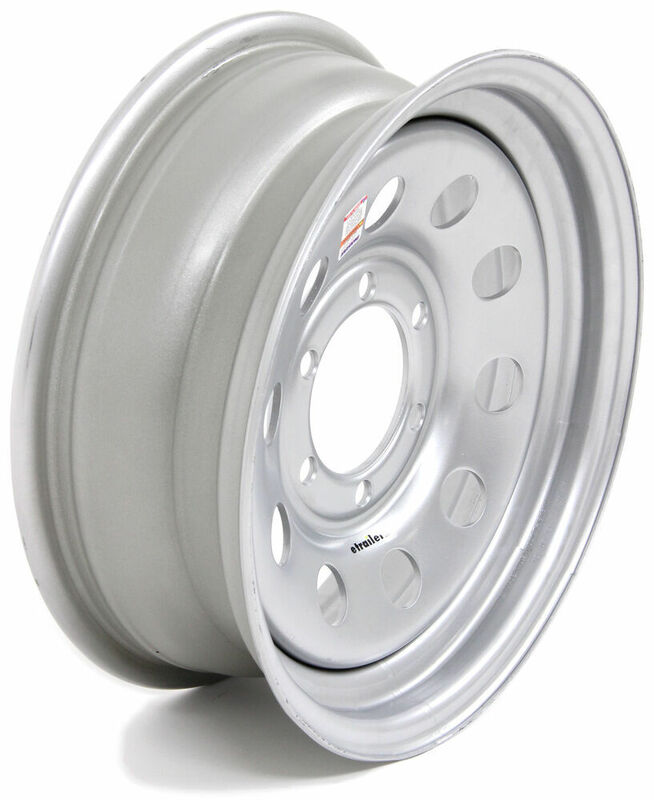 Silver power coated, 16" steel wheel features a 6 on 5-1/2 bolt pattern and meets Department of Transportation standards. Lowest Prices for the best tires and wheels from Dexstar. 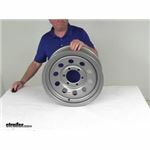 Dexstar Steel Mini Mod Trailer Wheel - 16" x 6" Rim - 6 on 5-1/2 - Silver Powder Coat part number AM20746 can be ordered online at etrailer.com or call 800-298-8924 for expert service. 20746DX Dexstar Modular Morton Silver Wheel - 16"
This 16" x 6" steel trailer wheel has a 6 on 5-1/2 bolt pattern and a 4.25" pilot diameter. Improved torque retention keeps wheel secure when mounted on your axle. Rust-resistant, 3-step powder coat finish. Valve stem is included. Radial tire has 10-ply rating and 3,520-lb max load at 80 psi. 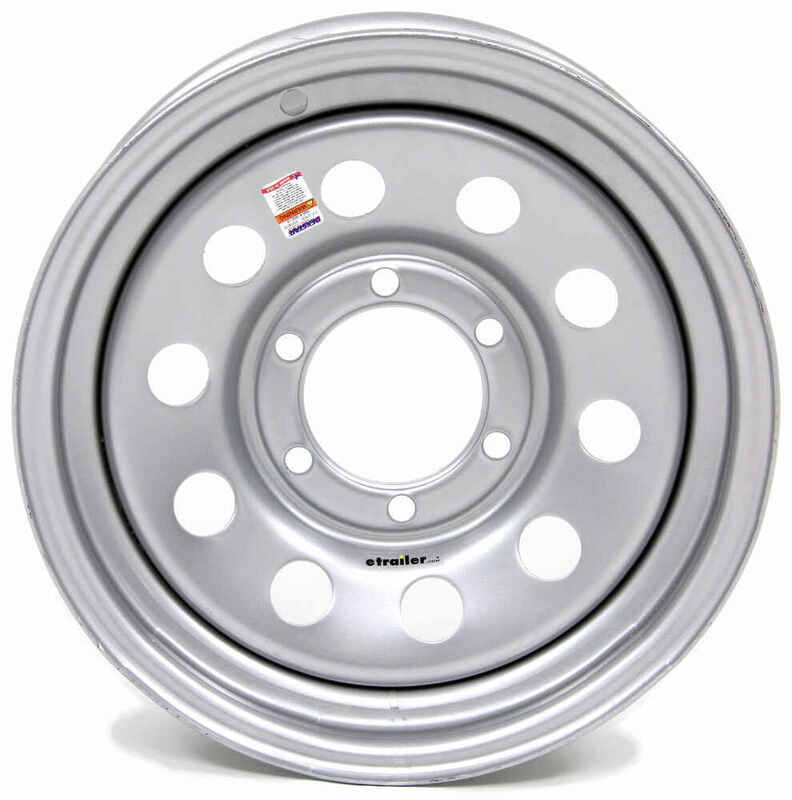 16" x 6" Steel wheel has 6 on 5-1/2 bolt pattern. 3-Step powder coat finish resists rust. Improved torque retention secures wheel. Complimentary roadside assistance included. 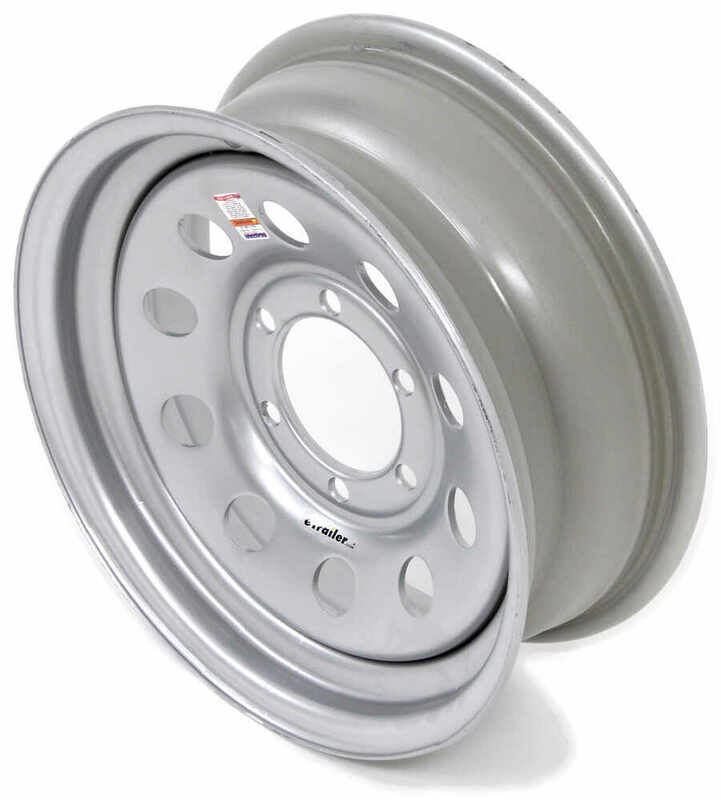 Order: RelevanceNewestRating - High to LowRating - Low to High Silver power coated, 16" steel wheel features a 6 on 5-1/2 bolt pattern and meets Department of Transportation standards. My spare wheel is working fine! There are wheels made here in the USA but to get the right one I'd need to know your wheel bolt pattern and the wheel diameter you need. If you are unsure of what your wheel bolt pattern is or how to find it, I've added a link to a help article on how to determine wheel bolt pattern for you to take a look at. 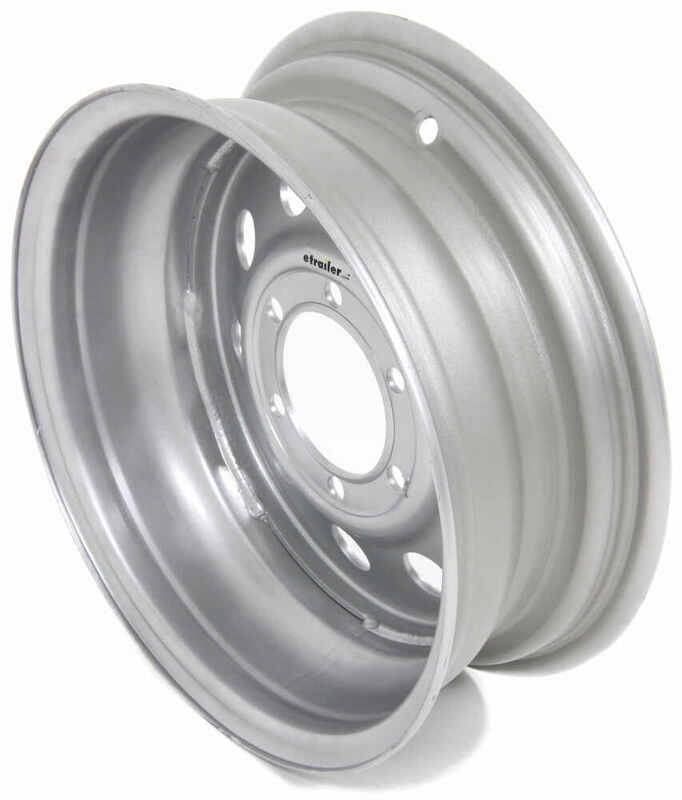 If you get back to me with that information I'd be happy to help you find the best wheel for your trailer. Dexstar does not make that directional wheel in a 16 inch option. It is only available in 13 inch, 14 inch, and 15 inch options. I've attached the link to all your wheel options for the 16 inch wheels with the 6 on 5-1/2 inch bolt pattern you are seeking so you can see all your options. The Dexstar Steel Mini Mod Trailer Wheel # AM20746 or the Dexstar Steel Spoke Trailer Wheel # AM20741 are probably the closest in style. Dexstar Steel Mini Mod Trailer Wheel # AM20746 does have a zero offset. We only mention the offset if the wheel has either a positive or negative offset. The ones that do not mention an offset will have a zero offset. 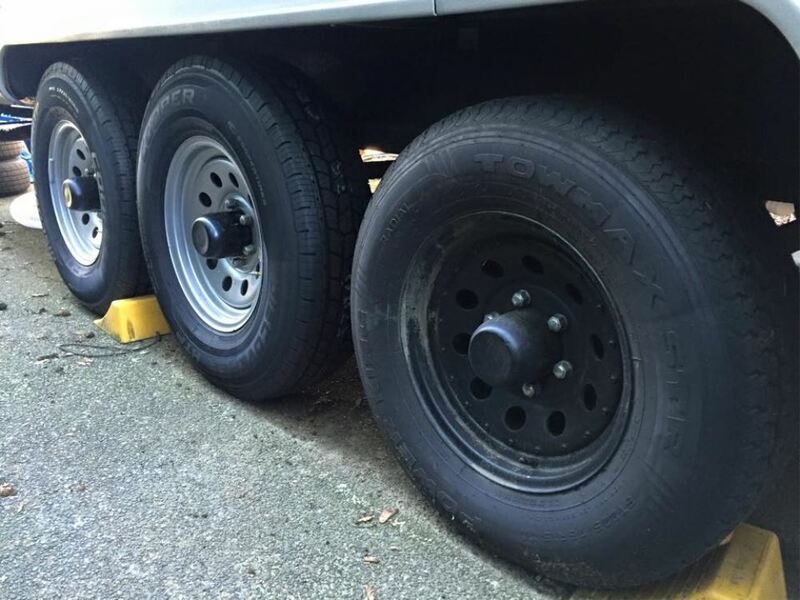 Since Dexstar Steel Mini Mod Trailer Wheel # AM20746 has a zero offset the backspacing would be half the overall width of the wheel which on a 16 x 6 wheel is about 7 inches. That would make the backspacing 3-1/2 inches.